By tomorrow night, Louisa and I will be back on an airplane headed to Seattle. It has been a wonderful last few days here in Arizona. I didn't realize how much I needed this trip. I have been so happy to see my parents after a long year + a few months and spend lots of time with my family. Plus, I ate a LOT of citrus which was heavenly! 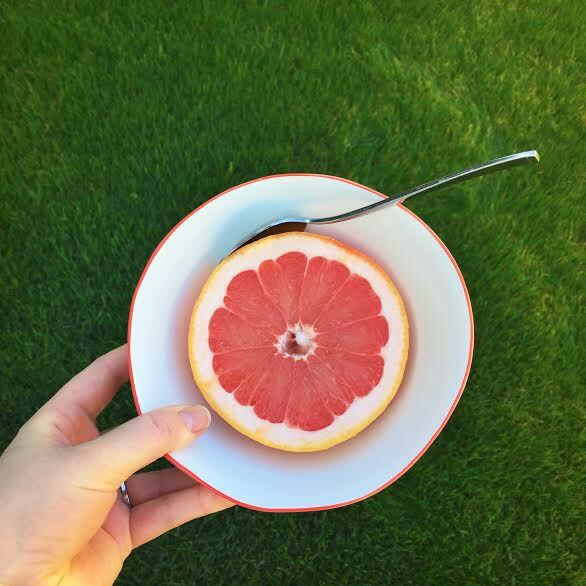 Ruby red grapefruit is the highlight of Arizona winters - especially when enjoyed while sun-lounging on such lush green grass! Anyway, I'll post about the rest of the trip (with some adorable pictures of my sweet new nephew!) when I'm home. Wish me luck on the flight with a teething baby at bed time! Cringe face.